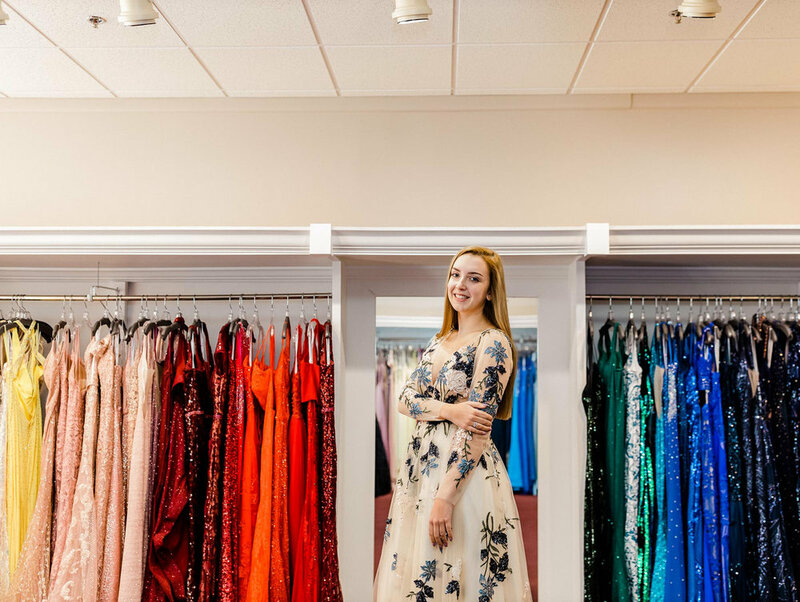 Located in Bloomsburg, Pennsylvania and serving the Wilkes-Barre, Scranton, and Williamsport markets and beyond, Exclusively You carries a large selection of dresses that are carefully chosen each season to be on-trend, and we strive to have something to fit every personality. 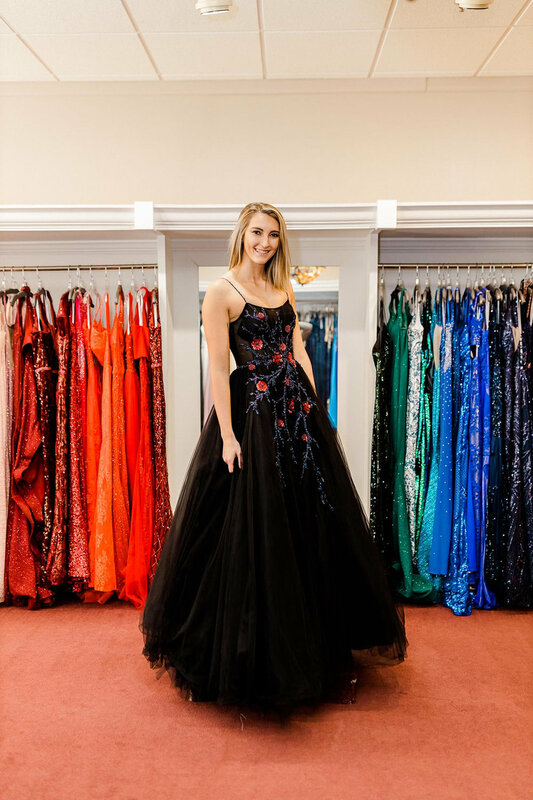 When you come to Exclusively You to look for your prom dress, we work with you to find the perfect dress that fits your style. 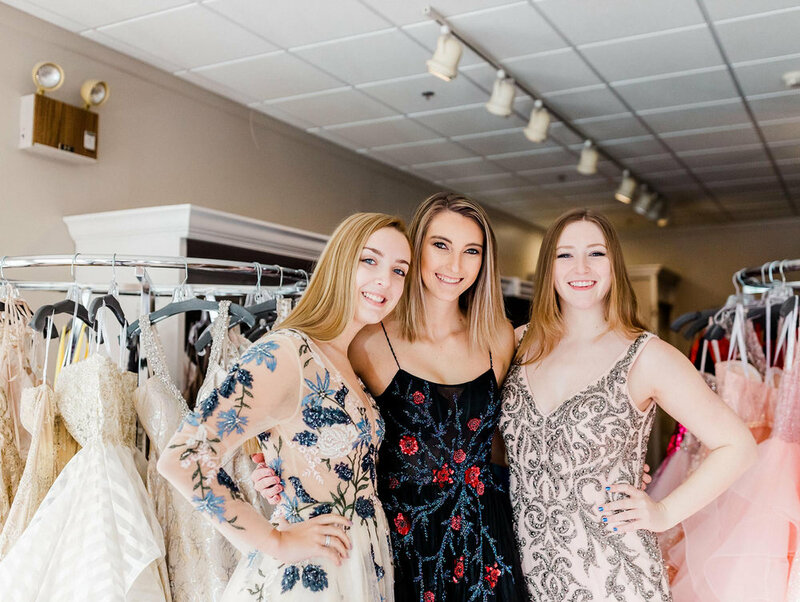 The large selection of dresses we have are carefully chosen each season to be on-trend, and we strive to have something to fit every personality. Our staff will work with you to determine the best silhouette, color, and shape for you. 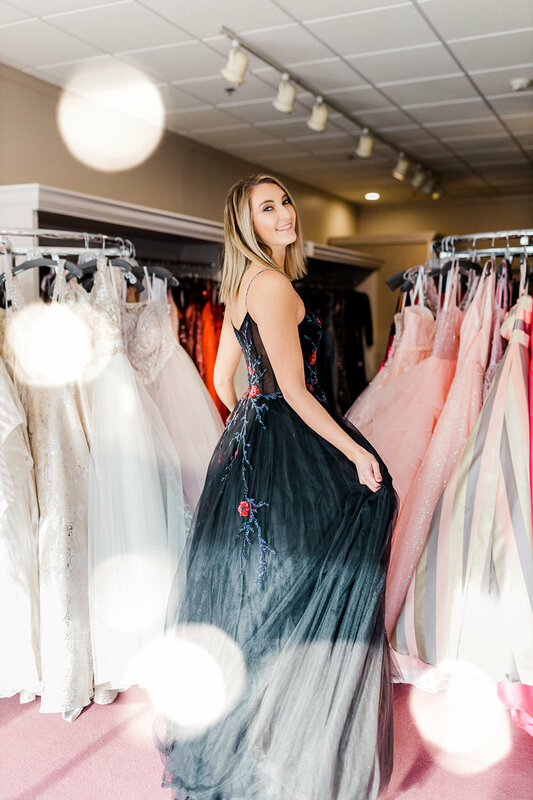 Everyone remembers their high school prom, and we want to help make your dress search and prom a memorable experience. 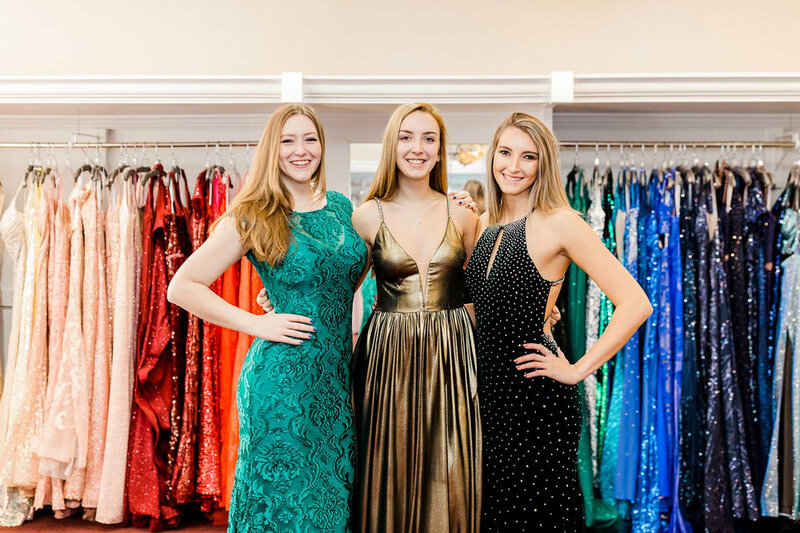 Every year we start off prom season with our Prom Open House, which is typically the first Friday evening in January. 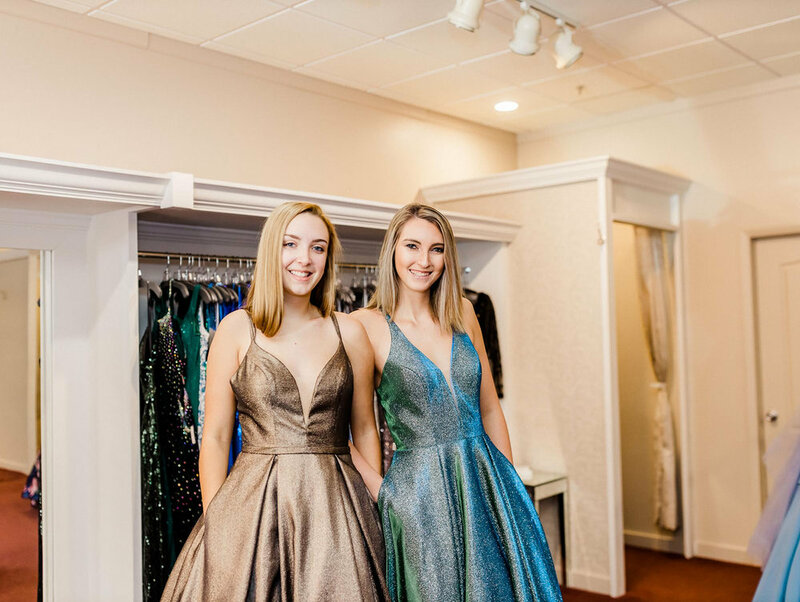 It's the first night we display our new prom collections for that season. We have music, refreshments, and offer a special promotion to those who attend. We have a lot of fun and it’s something you don’t want to miss. 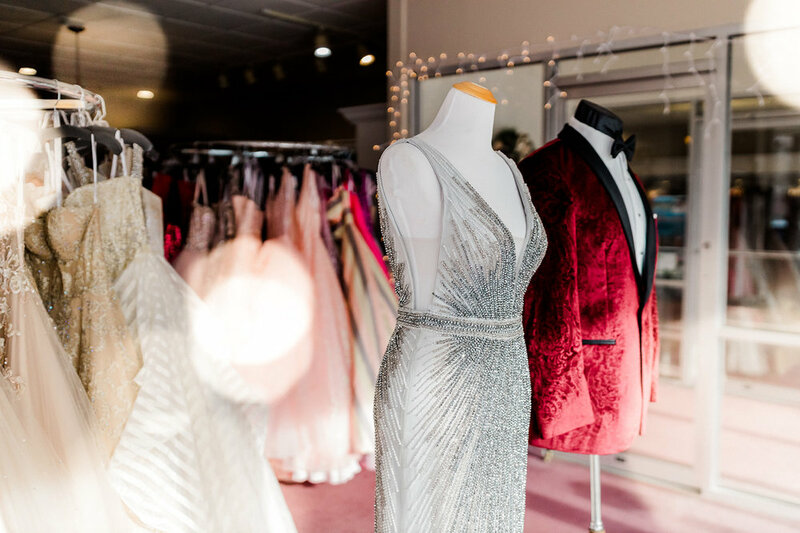 We carry Alyce Paris, Ellie Wilde by Mon Cheri, Colette by Mon Cheri, Faviana, Jasz Couture, Jovani, Madison James, Mori Lee, and Scala. We'd love to have you - just stop in to shop with us!